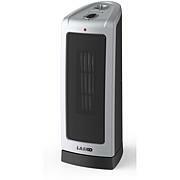 Banish the chill of a drafty room with this whole-room portable heater. 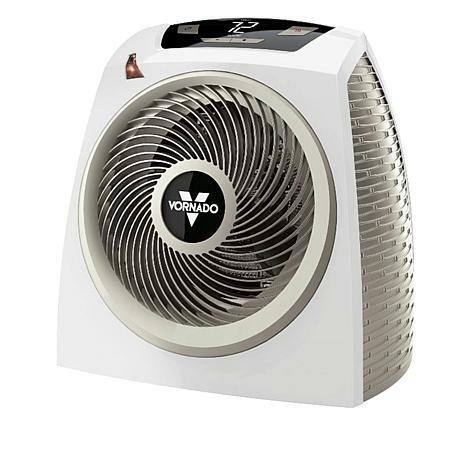 Utilizing Vornado's signature vortex design, the unit features simple controls that help maintain a balanced room temperature, and modern styling makes it a welcome addition to any space. Enjoy the cozy warmth of a comfortable room. I got this as a gift for my son. He lives in a 350 sq ft cabin in an area in WY that temp are below zero. He has told me it works awesome & heats the place up fast when he gets home. He said the fan will great for summer. Glad I got this for him as theyve had a lot of COLD & Snow! 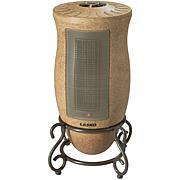 The heater warms a 200+ sq ft living/dining room during the day time. The temp outside, thus far, has been around 45-55 daytime. It is quiet and the low setting is what I've used during this outside temp level. 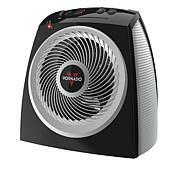 You can use your whole house heat to warm up everything and then let the Vornado keep it at that warmth level. This runs very very quietly! 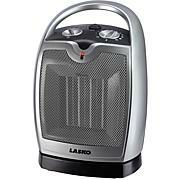 Used 3 times this winter in a very small room (8' x 10') on exceptionally cold days. It feels nice & warm when you sit right in front of it, but I can't understand why the room temp only raised 2 degrees after running 3 hours. When I'd walk into the room it didn't feel any warmer. The tip over shut-off feature is sensitive - a plus. There are excellent reviews but I'm just not sure. This product temperature set at 86 never got past 70 and took all night to do that would not recommend this product to anyone doesn't live up to any expectation a hair dryer throws more heat then this product.